German brand architecture firm TULP created three fun restrooms for Webguerillas’ offices in Munich. 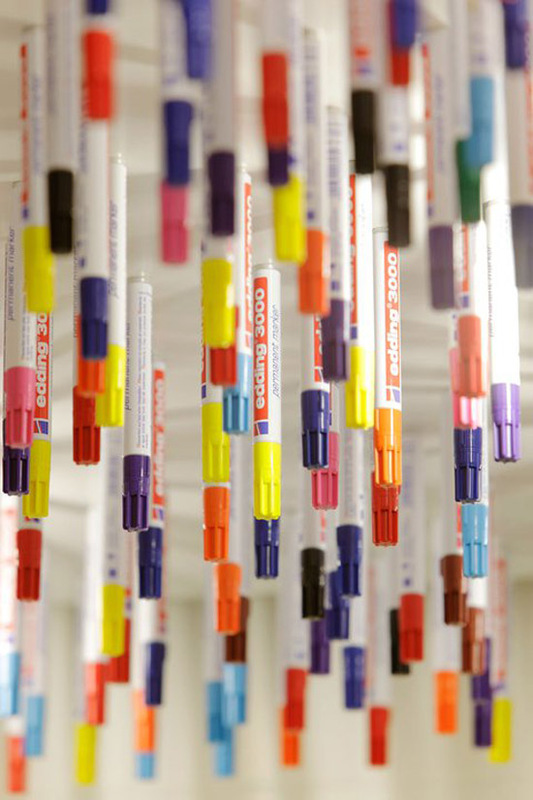 The marker installation at top, invited staff and clients to mark up the room as they wished by using the pens (attached by magnets) to draw, graffiti, and decorate the walls. The second bathroom involved lots of toilet paper rolls and blue light, creating a paper sky and easy access to toilet paper replenishment. The third installation included an array of framed mirrors to change the sense of space and play on the idea of vanity. This entry was posted in Architecture, Fun, Pop Culture. Bookmark the permalink.